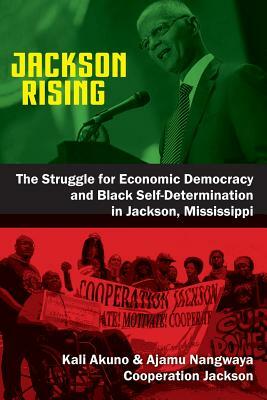 Mississippi, the poorest state in the U.S. with the highest percentage of Black people, a history of vicious racial terror and concurrent Black resistance is the backdrop and context for the drama captured in the collection of essays that is Jackson Rising: The Struggle for Economic Democracy and Self-Determination in Jackson Mississippi. Undeterred by the uncertainty, anxiety and fear brought about by the steady deterioration of the neoliberal order over the last few years, the response from Black activists of Jackson, Mississippi has been to organize. Inspired by the rich history of struggle and resistance in Mississippi and committed to the vision of the Jackson-Kush Plan, these activists are building institutions rooted in community power that combine politics and economic development into an alternative model for change, while addressing real, immediate needs of the people. The experiences and analyses in this compelling collection reflect the creative power that is unleashed when political struggle is grounded by a worldview freed from the inherent contradictions and limitations of reform liberalism. As such, Jackson Rising is ultimately a story about a process that is organized and controlled by Black people who are openly declaring that their political project is committed to decolonization and socialism. And within those broad strategic and ethical objectives, Jackson Rising is also a project unapologetically committed to self-determination for people of African descent in Mississippi and the South.